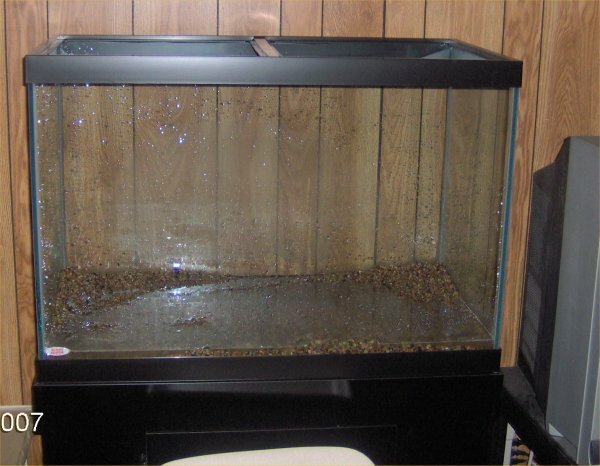 On 3/18/07, I set up my new 65 gallon tank as detailed on my tank redo page. 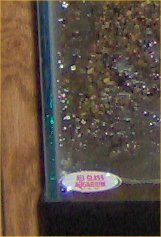 When I filled it up, I noticed a bubble on the left side of the glass, just outside of the siliconed area, 4 inches up from the bottom. It was about 8 cm left to right, 11 cm top to bottom and depth unknown. The bubble at first looked like silicon but I felt on both sides of the glass, and there was no bump. It was a defect but I figured it was okay. The tank was full of water by 5 pm on 3/18/07. At 5 pm 3/19/07, my father heard a crack. At 5:30 pm, my brother found the little piece of front left corner glass that broke off. It was held on just by silicon. 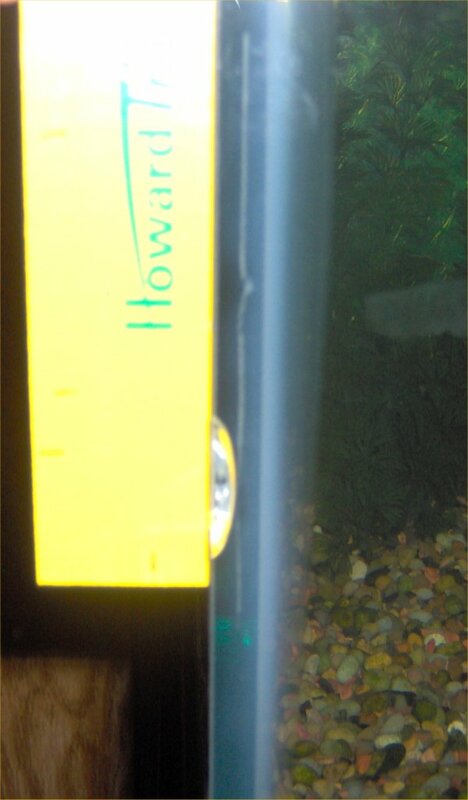 There was a minute star leading from the air pocket on the left glass onto the broken piece on the front glass. I took these photos and put them up to show the guy at the aquarium place that I got the tank. He thought it was no big deal, and he probably would not refund my money. I asked on the aquarium group, and seven people including some that worked at stores said to replace it ASAP. I called All-Glass, and they agreed. So, on 3/20/07, I tore down the tank. On 3/22/07, the plan was to go get the replacement. Well, I took the tank back on 3/22/07. When I took the tank to the store, the guy barely looked at it. He said the cracks occurred because the tank was hit (even though there was no external evidence of that). I told him that when I set up the tank, there was just a bubble which a day later cracked (with no one touching it) on its own and that the bubble cracked after it was empty a day. He basically said, "I know someone hit it, and that's why it's cracked." We argued for 15 minutes but he refused to give me an exchange. I said I would buy another one (there are no other aquarium stores within an hour of my house that sell 65 gallon tanks). They only had one. On close inspection, I found three tiny bubbles in the silicon which I would have let slide but then two scratches on the back. He said they were silicon but when they didn't come off with a razor, he agreed they were scratches. The tank was very dusty so it had probably been in some warehouse a long time. In order to reserve a tank (possibly again imperfect), I had to buy the tank that has not even come in that may come in in a week or two. Meanwhile, my poor fish were in less-than-optimal conditions. So, I paid for two tanks and had one that was cracked. 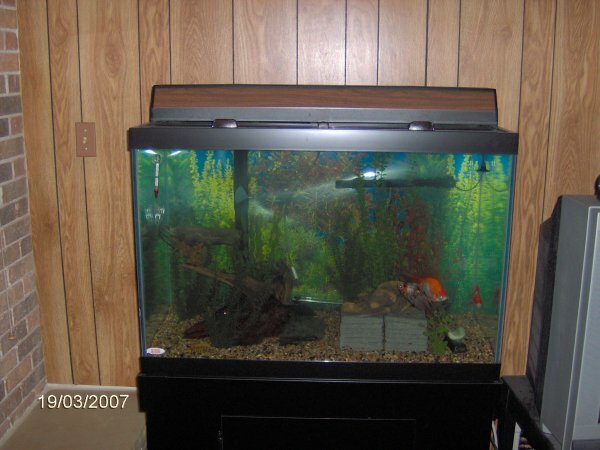 I tried to sell the tank for the best offer on-line and in a local paper. By May, there was still no reply. I tried to give the tank away to two local non-profits that could use the tank but they refused to take an imperfect tank. Finally, I gave it away from an ad on 5/10/07. My mother had a fit that I lost $120 forever but the tank was doing me no good and now will house someone's male bearded dragon (a desert lizard) and make him happy. These photos taken on 3/18/07 show the tank after I set it up. Note, there is no piece of glass broken on the bottom left front glass. The 65 gallon tank with just the gravel in it as I was setting it up. This is a zoom in of the above photo showing no crack. 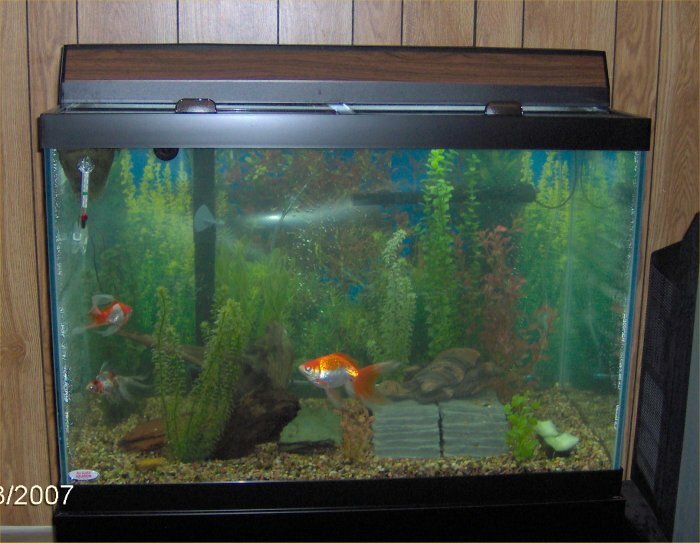 The 65 gallon tank after it was setup on 3/18/07. 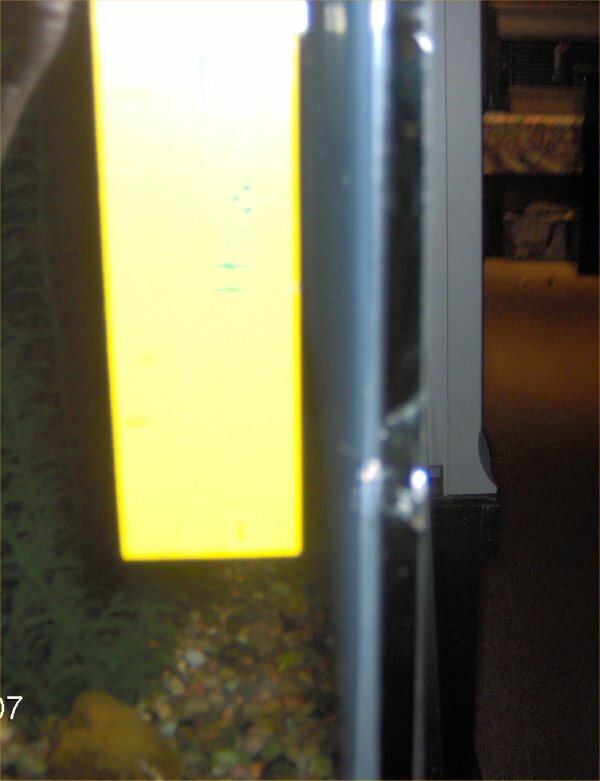 These photos of the front crack and bubble on the left glass were taken on 3/19/07. The entire 65 gallon tank. The front left glass. The white area is a piece of glass that is detached. It is held on just by silicon. 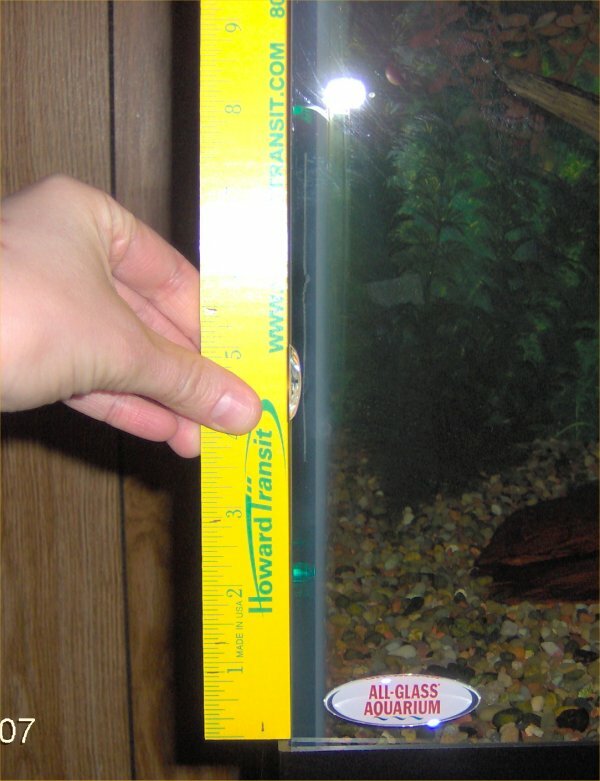 It is 4 inches up from the bottom of the tank. It is 4 cm left to right (the glass behind it is 8 cm wide) and 23 cm high. 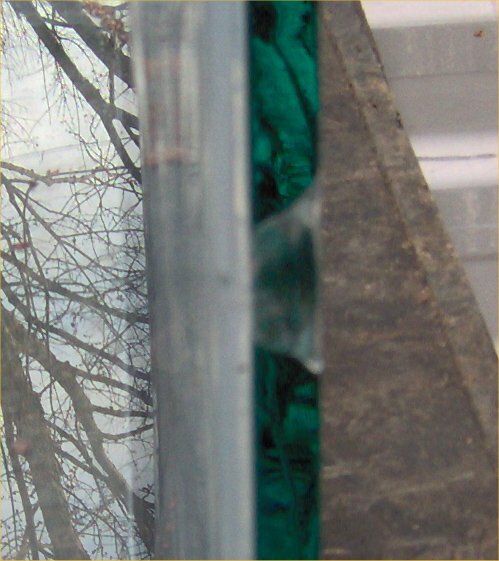 The piece that broke off spans the entire depth of the front piece of the glass. 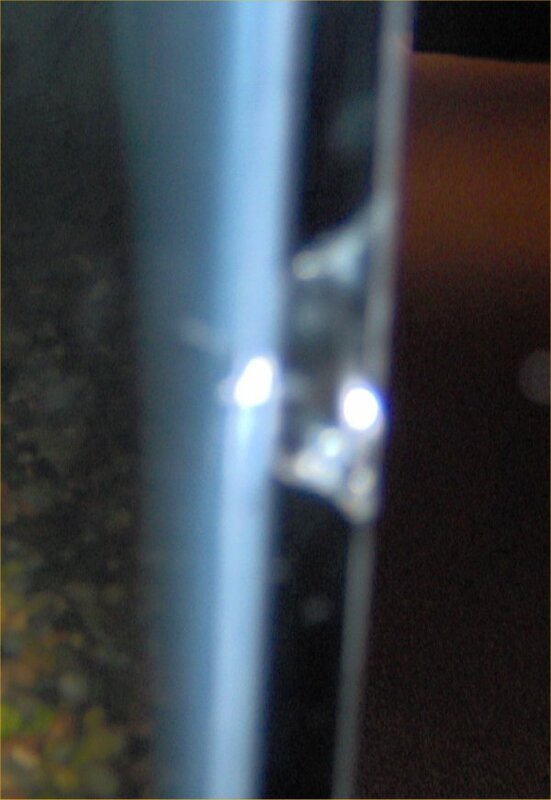 This is another view of the crack from the front. A close up of the front of the crack, fuzzy. This is the left side of the tank. You can sort of see the piece broke off. 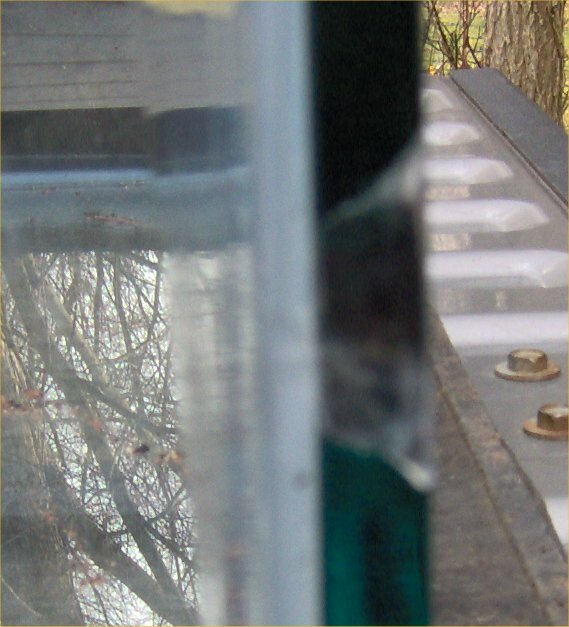 To the left of the piece broken off the front glass, there is a small bubble in the left pane glass from which it spread. I do not know why it spread across to another pane. Another view from the left. Sorry it is fuzzy. The wall prevents me from backing up further from it for the photo. 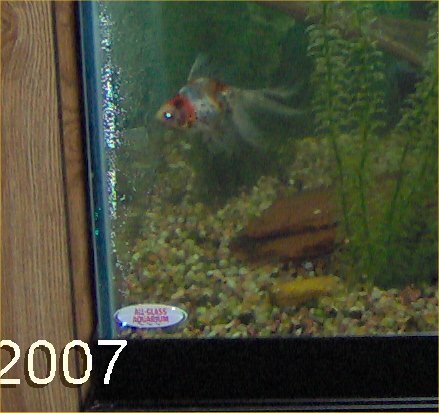 I took these two photos of the left side of the tank before trying to return the tank on 3/22/07. I am sorry that they do not come in. The bubble itself cracked. 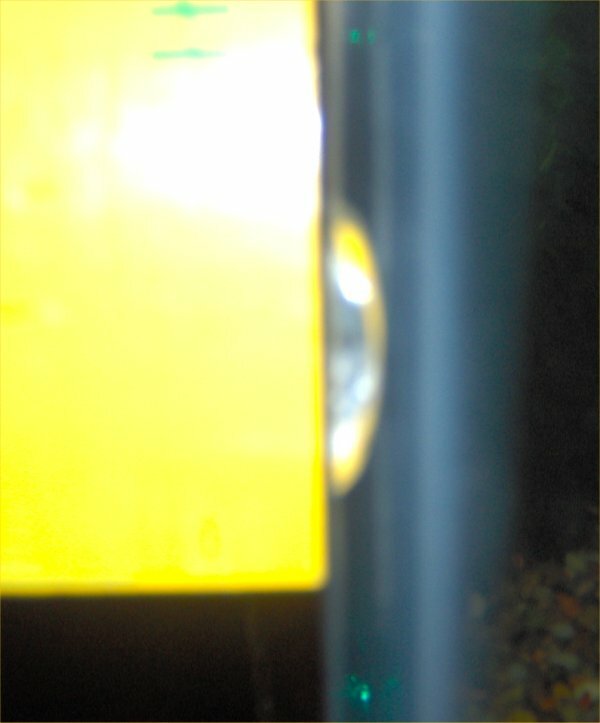 The photos do not show enough resolution to show either the bubble or the resultant crack but it is there. Where the bubble is, all that shows up in the photo is the white silicon behind it.